Vindicia>Blog>OTT partnerships vs. independent products: Which is better? The way telecommunications companies react to over-the-top (OTT) content and communications will either be the key to their continued relevance or signal a never-ending decline in market share. Their latest responses to this phenomenon have primarily taken one of two positions. Some opted to create their own content platforms, while others entered partnerships with their former rivals. Each strategy has its strengths and weaknesses. While it remains to be seen which will ultimately be most successful overall, there are currently greater incentives for partnering with OTT providers. It's easy to see why telcos are attracted to the idea of creating their own OTT voice and video platforms. Doing so gives them complete control over content and delivery. They can set their own prices, design their own subscription billing terms and create the OTT infrastructure in whatever manner they see fit. "Creating their own video and services gives telcos leveraging power." Perhaps most importantly, creating their own video and services gives telcos additional leveraging power. If a communications company creates the next "Game of Thrones" or "House of Cards" and keeps this content exclusive to its own platform, it dominates the market share of interested consumers and drastically increases its acquisition rates. These ideas are what fueled Disney's decision to pull its videos from Netflix and create its own branded streaming service. According to CNBC, the entertainment company spent $1.58 billion to buy majority ownership of BAM Tech to help with this plan. "This represents a big strategic shift for the company," Disney's CEO, said to CNBC. "We felt that having control of a platform we've been very impressed with after buying 33 percent of it a year ago would give us control of our destiny." Unfortunately, this strategy isn't foolproof. Whether or not this venture will be successful is currently unknown, but there are points in Disney's favor. The company has the deep pockets necessary to create a working infrastructure, a history of successful content, and the brand recognition and consumer devotion needed to ensure a successful marketing strategy. Contrast that with Verizon Wireless, which didn't have the same track record of customer satisfaction nor the experience in creating great movies to carry its go90 platform. Telco giants that have the resources to create stellar content might be able to increase subscribers with this strategy, but small and mid-size organizations might not. Working with OTT providers rather than against them may prove more successful. Instead of investing in their own content creation, partnerships grant telcos access to libraries of fan favorites. This approach isn't just easier in terms of content creation; it also has the opportunity to boost customer satisfaction. Partnerships allow telcos to create packages where consumers get their phone, internet, messaging and video all through one service, increasing convenience on their end. Because OTT subscriptions are priced low, consumers get to enjoy video for much less than a traditional cable subscription. Meanwhile, telcos get to retain these customers who would have otherwise canceled their subscriptions. We've already seen many such partnerships across the globe. Comcast and FX recently announced a joint service that lets Xfinity TV customers watch FX and FXX programming with no ad interruption, FierceCable reported. Last year, Europe-based Liberty Global partnered with Netflix to provide the streaming service on Liberty's digital TV platforms across more than 30 countries. That success, in part, led Liberty to evaluate the possibility of adding Amazon video as well, Digital TV Europe reported. Meanwhile, Deutsche Telekom also gave its customers direct access to Netflix, acquired the German premier rights to several popular TV shows - including Hulu's "The Handmaid's Tale" - and gained the launch rights to the on-demand service Fox+, according to a separate Digital TV Europe report. 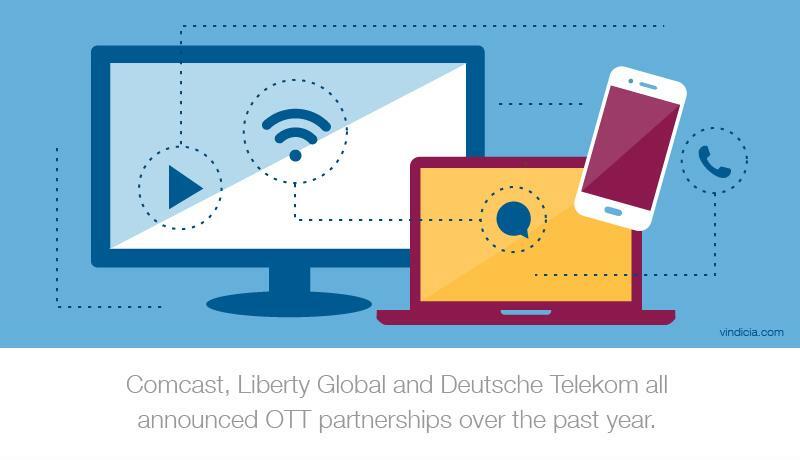 Telco/OTT partnerships are happening across the globe. Telcos must be careful not to overlook monetization when addressing the OTT issue. Their billing infrastructure will need to be modified no matter which strategy they choose - especially if these businesses operate on a subscription billing business model. Companies will have to review which platforms or devices their billing provider integrates with, as one of the draws of OTT is its cross-device functionality. Another attractive feature is OTT's flexibility. To capitalize on this, telcos can offer customized bundles that provide different services at varying price points. Of course, they will need a subscription billing services provider that can handle such variance. Similarly, telcos will need to address shifting consumer payment preferences. While credit and debit cards are still the predominant methods, mobile payment services such as PayPal, Apple Pay, Venmo and others are rising in popularity. 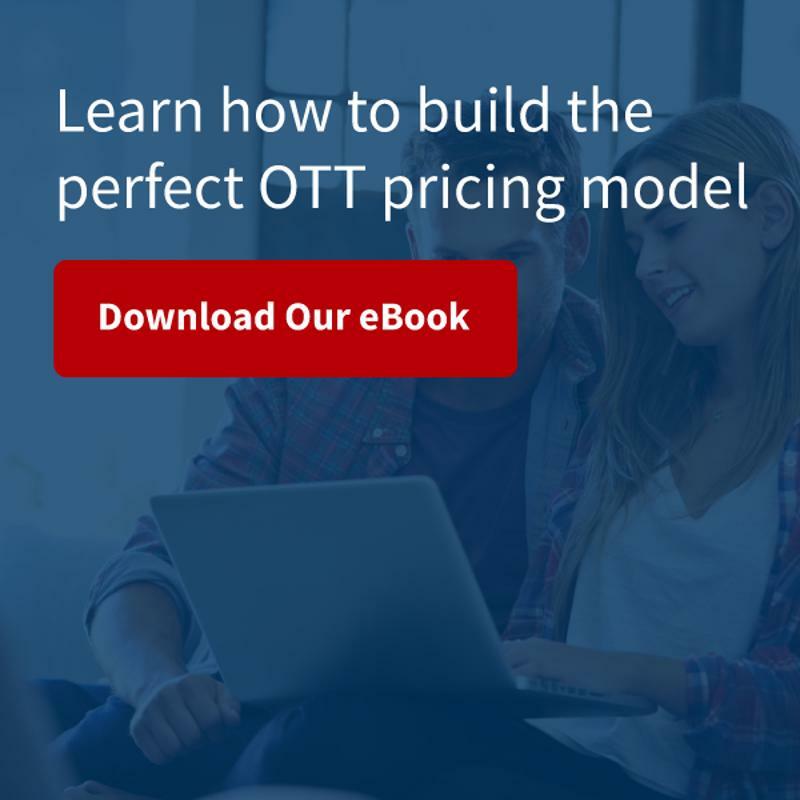 While the perfect strategy for confronting OTT varies depending on a telco's resources, the payments issue is consistent for all companies.